Ever since I moved into my in-law's house, when I am trying to work on the computer in my bed, the internet is constantly cutting out and is REALLY SLOW! It absolutely drives me crazy and makes my work take twice as long! That is why I am so glad I received the Wireless Range Extender (WR300NSI) from Diamond Multimedia! Now I don't have to stress over and get super frustrated about not receiving lightening-fast internet speed! The WR300NSI--the second generation of the best-selling wireless extender from Diamond Multimedia, extends the wireless range, creates a wireless hotspot and connects to internet ready devices such as Blu Ray Players or gaming consoles. The 3-in1 device will help users eliminate wireless dead-spots anywhere they go, targeting a frustrating and common household issue. Eliminate the hassle of complicated extenders and software because there’s no need for plugging in the extender into your computer or setting it up with a cd -- after plugging it into the wall, opening the browser automatically takes you to the setup page. Don’t worry about anyone stealing your stellar connection as WR300NSI also extends the same security as a personal router. For more information, please watch the video here. 1. Wireless Repeater and Range Extender: Receives weak wireless signals and extends the signal range to greater distances eliminating wireless dead spots. 2: Standalone Wireless Access Point: Create a wireless network by connecting the device to a wired router/cable modem or DSL modem. This small compact portable device can create wireless connectivity where ever you go. Use in your hotel room and turn a wired internet connection into a wireless internet connection. 3. Wireless Bridge Device: Receives wireless signal from your home wireless network and convert to wired Ethernet connections for non wireless devices such as internet ready HDTV, Blue-Ray players, gaming consoles, and media players. 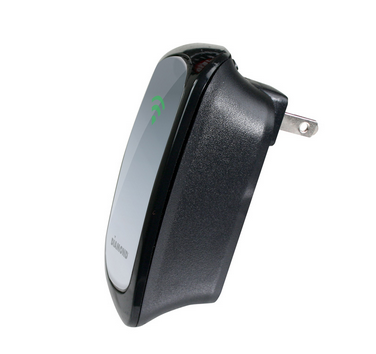 WR300NSI is designed with RSSI indicators to determine the strength of wireless signal received from router to it. This helps users to place WR300NSI in the best possible location to repeat existing wireless signal. 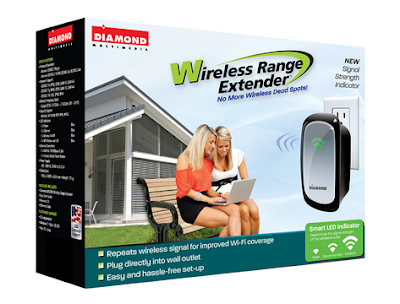 So, if there are a couple rooms in your house that don't receive the wireless signal as well as the rooms closer to the wireless router, then get this Wireless Range Extender (WR300NSI) from Diamond Multimedia to eliminate frustrations! It is easy to use, has a secure network, and can even turn wired internet into wireless! Buy It: You can purchase the Wireless Range Extender (WR300NSI) for $49.99 from Diamond Multimedia's website.